This month, By people / In cities travels to New Zealand and looks in particular at its capital, Wellington. Sarah Ropata takes a snapshot of Wellington's creative industries, focusing on the connections between film, arts, technology and crafts. Who are the key players and what are the initiatives that make this city the 'coolest little capital' of the world. Wellington, the capital city of Aotearoa-New Zealand sits further south than any other capital city in the world, and with a population of just 460,000 it’s also one of the world’s smaller capital cities. Nestled on the edge of a stunning harbour and surrounded by steep bush-clad hills, the topography and layout of the city make it a compact and bustling place. The combination of deep water, hills and not a lot between them and the Antarctic, can make for some lively weather conditions. Often dubbed the ‘windy’ city, Wellington’s weather has a reputation for being wild. This mix of dramatic scenery, wild weather and tightly packed city streets imbue it with a great sense of energy and vitality which is reflected in the people that choose to make it home. It’s a place where one can walk everywhere, and while out walking the streets, the waterfront or the hilly town belt it’s impossible not to trip over a piece of art or a location from a famous film, or pass the house of one of many great artists living in the city. Sculptures and literary quotes brave the elements and surrounding them are a myriad of restaurants, cafes, museums art galleries and concert facilities that host international artists and theatre productions. If you stop to eavesdrop the café conversations reflect the diverse cultural mix of the city – politicians escaping from Parliament, international students and tourists, Kiwis from around the country visiting Wellington to take advantage of the arts and cultural events, and locals going about their daily lives. In recent years the city has been thrown into the international limelight for being the home of film director Peter Jackson and the production facilities that have created international blockbusters such as the Lord of the Rings trilogy, King Kong and The Hobbit. Often referred to as 'Wellywood' it has become the centre of New Zealand’s film industry, and as such has attracted people from all over the world to work and live there. Small populations have to work closer and harder to compete on a global scale and New Zealand is a great example of this. Artists and companies have to look outwards and work together in order to survive; the economics of market size simply demand it. So one finds that the boundaries between film, arts, computer technology and science are less defined, and the exchange of ideas and cross-pollination is the norm. 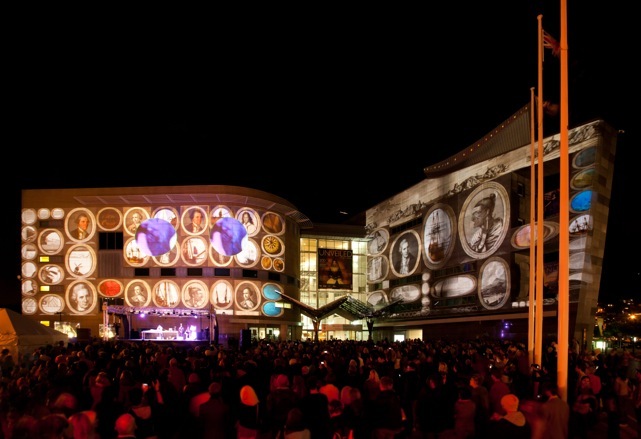 And Wellington is well known as being a hub for creative exchange within the country. The ecology of commerce and creative industries working in such close proximity in turn supports a thriving independent arts scene, and it feels like the type of place when one can still have a great idea and make it happen. One place where artists turn great ideas into magic on a daily basis is Weta Workshop. Best known for their design and effects work on award-winning film projects such as Lord of the Rings Trilogy, King Kong, Avatar, District 9, The Adventures of Tintin and The Hobbit, this company collaborates with creative industries throughout the world. Founded in a tiny back room by Richard Taylor and Tania Rodger twenty-five years ago the company now boasts a 65,000 square foot facility, which is the biggest of its kind in the world. Under this one roof they have the infrastructure and capacity to create anything from fine jewellery and costumes to creature suits and prosthetics to large-scale vehicle and set construction. From the bottom of the world Richard and Tania’s team operate at the cutting edge of the industry, mixing traditional crafts and hand skills with the very latest technology. Their business model is completely global and in particular they have developed well-established pipeline and distribution channels into Asia including countries like China, Korea, Singapore, Thailand and India. Technology today means takes the tyranny of distance is truly no longer an issue. The city is also home to many of the country’s national arts organisations and major events including the New Zealand Symphony Orchestra, the Royal NZ Ballet, the New Zealand Festival, NZ Fringe Festival, World of Wearable Arts, the national drama and dance schools, Te Papa Tongarewa Museum of New Zealand The National Children’s Theatre, three professional theatres as well as numerous public and dealer galleries and an extensive public art collection. A central cultural landmark is Te Papa Tongarewa, the New Zealand national museum. The Maori name – Te Papa Tongarewa, translates as ‘container of treasures' and since its doors opened in 1998 it has shared New Zealand’s treasures with over 20 million visitors. The population of New Zealand five times over! The collections at Te Papa span Art, History, Pacific, Māori, Natural Environment and they present a regular programme of touring exhibitions and shows. It’s a favourite city destination with locals and visitors alike. Another landmark feature of the city’s cultural scene is the New Zealand Festival. 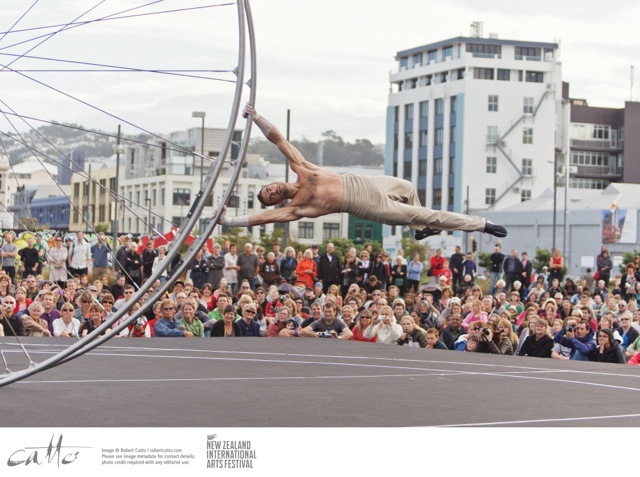 Taking over the city for around 24 days every second year, the New Zealand Festival presents the best local and international talent across dance, theatre, music, literature and visual arts. Running since 1986 The Festival is one of the most established arts events on the New Zealand cultural calendar and another great example of how the city nurtures cross-pollination between local and international talent. “We also pride ourselves on being pioneers, bringing innovative works to Wellington from all around the world, including from the Asia-Pacific region. We have hosted artists from China, Japan, Singapore, and Myanmar and recently were involved in the New Zealand/Fijian production Masi before it toured internationally. We’re always looking for collaborations that allow us to reflect New Zealand’s multi-cultural make up and diversity. Says Artistic Director Shelagh Magadza. The New Zealand Festival is a magical time when the city literally fizzes with ideas, art and performance and it’s an exceptional time to visit if you are interested in an intense hit of the local and international arts scene. The next New Zealand Festival will kick off on 21 February 2014 and host over 300 events. But if you can’t make those dates don’t worry because at any time of the year you will find a city alive with art, sculpture, music, theatre, dance and ideas. Add to that amazing food and wine, a bustling café scene and really great coffee and you start to see why Wellington is known as the world’s ‘coolest little capital’. Sarah Ropata is a Director of Annear Ropata Consultants (ARC) a New Zealand firm that provides strategic, creative and project management services. In 2012 she led the Author programme for New Zealand Guest of Honour at the Frankfurt Book Fair. Prior to her work as an independent consultant, Sarah was a Senior International Adviser for Creative New Zealand – leading on the export of New Zealand arts, Communications and Marketing Manager for Creative HQ – a Wellington business incubator supporting high growth start up companies, and worked on arts contracts for the Ministry of Education. Before moving to New Zealand in 1999 she was involved in major events and the film industry in the UK.